When I first read this line in one of his books, my perspective on history was, without exaggeration, changed forever. Like many students, I wasn’t too fond of my history classes back then, mostly because it was just about rote memorization—the whos, whats, whens, and wheres of the past. I can’t even remember most of it now. But after the realization that the course of history isn’t in the hands of some divine force but in our very own, trying to understand and being interested in what had happened then just made so much more sense. Fortunately, in my case, I like reading. So cracking open a history book (with a curiosity-piquing blurb) is easy. But with the short attention spans and highly digital landscape we have now, it may not be as easy for others. I don’t want to admit it, really, but books (especially non-fiction) get harder and harder to pick up for most people. Understandably so, because now information can so easily be gained with just a few clicks on your computer or smartphone. I think historians and history enthusiasts are realizing this, too. Which is why as much as history is about the chronicling of times past, it now also involves itself with keeping up with the present. Digital media has played a significant role in making history relevant again, especially for the youth. In this age of historical revisionism and the troubling deja vu of current affairs, reminding ourselves of who we are and where we started is necessary. Two years ago, a musical about America’s forgotten founding father became viral all over the world through its use of hip-hop in retelling history. Hamilton: An American Musical took the world by storm. Practically everyone knows the name Alexander Hamilton by now, and it’s thanks to using an accessible platform—hip-hop music. While not everyone can afford to watch the musical on Broadway, the use of social media, YouTube, and popular music streaming platform Spotify played a huge role in getting the story out. Aside from bringing about a greater awareness on the forgotten “hero,” the musical also succeeded in bringing forth a timely revolution against current prevailing thought: Immigrants aren’t threats. Immigrants? They get the job done. Locally, one of the mediums that now keeps history alive is film. We’re now far from the analog film format, and the film industry can now employ a variety of platforms to not only market the film, but to expand the film’s universe, too. 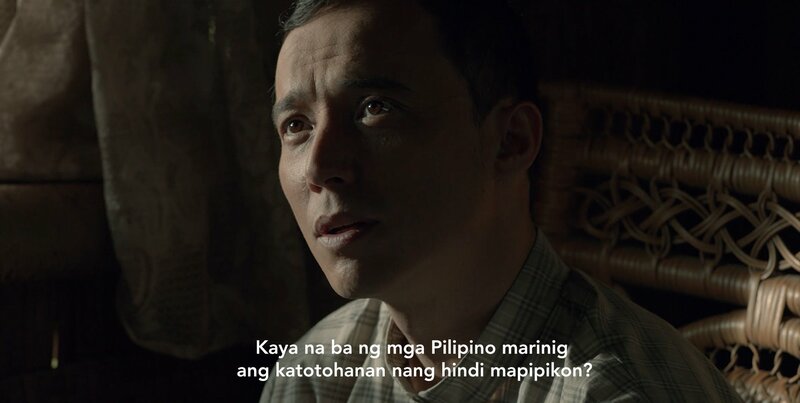 We see this in the phenomenal success of indie prod house Artikulo Uno (under TBA Studios) with director Jerrold Tarog, in two recent historical dramas: Heneral Luna and Goyo: Ang Batang Heneral. While tackling historical figures and events, the films become relatable because of the messages they convey. Heneral Luna came at a time when we as a nation had to be reminded about the weight of our choices—personal conveniences and benefits versus what is best for the country. “Bayan o sarili?” the hot-headed general would ask. The results of that period in our recent history were polarizing at best, and detrimental at worst (shout out to our economy and the anti-poor drug campaigns). Thought-provoking, the films leave its viewers with questions rather than answers. And if there’s any way to start a good discourse, it’s through asking good questions. One of the new technologies being explored today is the world of virtual reality (VR). Through the slipping on of a pair of goggles and some headphones, we are transported to a different place and time. But instead of traveling to some fantastical new world, here, VR becomes a time machine. Ayala Museum may just be the first to employ VR in making its exhibits more interactive. 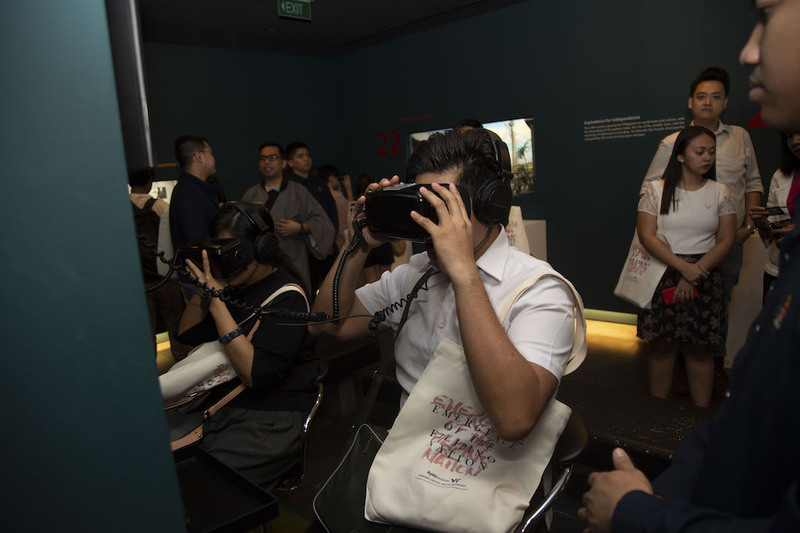 Starting with the life of Rizal, the museum has since delved deeper into translating history into “playable” virtual reality. Their new diorama VR immersive experience features two heroes that have long been pitted against each other in retellings of our history: Andres Bonifacio and Emilio Aguinaldo. Although both were prominent figures in the Philippine revolution, and both contributed to the cause of freedom, there is much contention over them. Were they rivals? 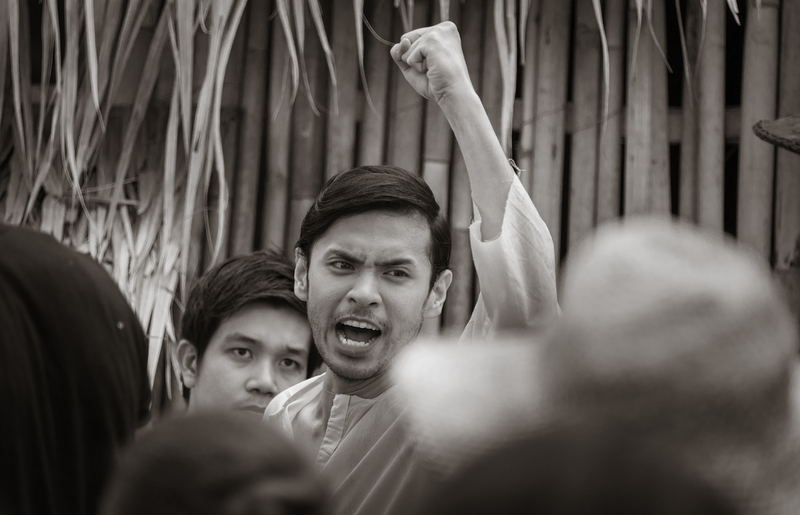 Did Aguinaldo really have Bonifacio killed? Why did they make the choices that they did? What our history books seem to simplify and explain as a linear path is actually a complex, winding road. This is what the VR experiences aim to address. Museum guests are given the chance to witness key events in our history from two different standpoints, hopefully piquing interest to know more about our road to nationhood, and ultimately to ask questions. Why did this happen? Why are we accepting this as normal? Is this really what it’s supposed to be? The different new mediums through which history is being explored and shared prove that looking at the past isn’t just about remembering. With the immersiveness and engagement these different mediums provide, history becomes less about memorization and more about a deeper understanding and experience. It’s also about being critical. Knowing and becoming interested in our history, in our beginnings, and how we got from there to here, also prepares us for the future. After all, if we already know the mistakes our forefathers made, would we still follow the same footsteps? Ayala Museum VR photos courtesy of Ayala Museum.